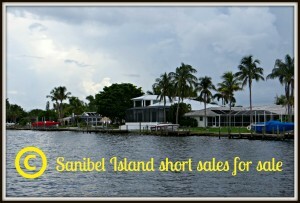 The enormous gap in the price range of the Sanibel Island condos for sale means there is something for everyone. From modest designs to million dollar units, the condos for sale on Sanibel Island run the gambit of real estate. But it’s not just the price tag that varies. The style is another aspect of the condos that varies; there are high-rise condos overlooking the gulf available, as well as low-rise units sitting on golf courses. 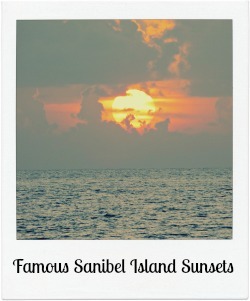 Whatever you are looking for, you will find it on Sanibel Island. While there may be plenty of differences that make these condos completely unique, there are certain characteristics that are found in all the units. Convenient access to the beach and all the attractions of Sanibel Island, Fort Myers and Cape Coral is a staple of these condos; and many of the complexes offer excellent on-site amenities that make the condos perfect for living out the Southwest Florida lifestyle. Palm tree lined landscapes, and lush green foliage surround luxurious mansions and modest bungalows in Sanibel Island real estate. Just across the bridge lie Cape Coral and Fort Myers with Tarpon Bay just around the corner. Whether you need some quiet time or a boost of nightlife, Sanibel Island real estate offers city nights and scenic sites. With varieties of fast and fine dining, shopping arenas and busy nightlife this beach community is waiting for you. Imagine dwelling a short walk away from the Wildlife Refuge. When you live on Sanibel Island, you can take an evening stroll along the beaches and breathe, deeply. Picturesque lake vistas and the tropical island feel drive your worries away. These joys and more lie ahead for you and your family in Sanibel Island real estate. The Sanibel Island community proffers its residents a taste of classic elegance. With palm and coconut trees swaying in the breeze, manicured grounds, exquisite homes, and gulf access views, couples walk the greens safely, late into the night. With a secure environment, your home is safe and beautiful. From modern stucco veneers to innovative and long lasting slate roofing, the sturdy and strong concrete construction protects you from the tropical winds. The filigreed archways, vaulted ceilings, and adorned open floor plan greet you as you enter your Sanibel Island real estate. With innovative amenities in the kitchen and bath, as well as, new appliances, your home provides functional space in a grand design. The wonderful resort feel, warm breezes and classic elegance of life on Sanibel Island, Florida will leave you refreshed, renewed, and rested for those holes of golf, laps in the community pool or shopping extravaganzas. Enjoy the San Carlos Bay from any condo in Mariner Pointe on Sanibel Island, FL. The bay views from the condos are breathtaking and really set the mood for the island feel the complex gives off; palm trees sway in the ocean breeze and lush tropical greenery decorate the landscape. The amenities Mariner Pointe offers are truly fantastic; a community dock with a private fishing pier, 2 pools, tennis courts and picnic area, not to mention beach access. Beaches are also available in Fort Myers and Cape Coral, which are just a short drive from the neighborhood and are easy to reach using the Sanibel Causeway that runs just east of Mariner Pointe. There is plenty to do just outside the complex however; shopping and dining are available within a mile from the complex, including Tuttle’s Sea Shell Shop and Gramma Dot’s Restaurant. The condos for sale in Mariner Pointe feature upgrades for convenient living, and the building is an architectural gem, using stucco siding and a flat roof that truly represents the Sanibel Island feel. Community amenities are the name of the game in The Sanctuary on Sanibel Island, FL. A community pool, tennis courts, spa and clubhouse can all be found within the neighborhood, not to mention a full 18 hole golf course. Much of the real estate is situated on the fairways of the golf course and also offers gorgeous views of Pine Island Sound. While fine dining can be found within the neighborhood, a plethora of restaurants and shops can also be found in the area surrounding The Sanctuary as well; both the Mad Hatter Restaurant and Sunset Grill are within a mile from the neighborhood. The homes for sale in the neighborhood consist of magnificently designed concrete block stucco designs. Slate and tile roofs, along with arches and columns, accent the fine architecture and give them an authentic aesthetic. The tropical landscaping, with lush greenery and palm trees, only add to the resort feel The Sanctuary gives off. The homes for sale in Palm Lake on Sanibel Island, FL represent the quintessential beach home; palm trees and green lawns decorate the landscape leading up to finely crafted pieces of architecture. Flat roofs and stucco veneers give the homes that authentic island feel, which hits the nail on the head since the neighborhood offers residents deeded access to the beach that is just down the road. The beaches of Fort Myers and Cape Coral are just a short drive from Palm Lake as well for weekend adventures, although there is plenty to do just around the corner from the neighborhood. The Bailey-Matthews Shell Museum is very close, plus parks, restaurants and shops, of which there are too many to name. 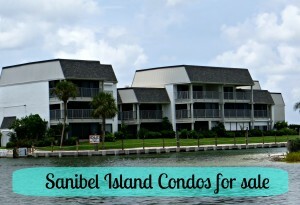 The Sanibel School is just a short drive from the neighborhood, too. Located in Lee County, zip code 33957, Palm Lakes is everything you would expect from a southwest Florida neighborhood. The condos of Pointe Santo De Sanibel make for awesome investment properties or year round living. Over the years, the community has garnished an impressive repeat rental base, which makes these condos perfect for seasonal living. The spectacular views of the Gulf and tropical grounds give a peaceful aura to the complex that reflects the resort style of Pointe Santo De Sanibel. Every day feels like vacation in this complex; a community pool, clubhouse and community room give you all the entertainment you could need. But if you’re looking to get out and enjoy the beach or play some golf, the 33957 zip code of Sanibel has you covered. It is truly a pleasure to wake up every day in Pointe Santo De Sanion on Sanibel Island, FL, and look out at the Gulf and beautiful tropical landscape of the complex, which features a gorgeous lagoon and palm trees. Many of the units have views overlooking the white sand beach and Gulf, and all the units have direct access to the beach, plus access to the community amenities, which include a community pool and spa, tennis courts and club house. And all of this without having to leave the complex! If you get bored (and that’s a big if) there is plenty to do just around the corner; Sanibel Island Cinemas Inc. is a few blocks from Pointe Santo De Sanion and D.N. “Ding” Darling National Wildlife Refuge is right there too, with acres of green space for recreation and leisure. The condos for sale in Pointe Santo De Sanion reflect the island feel of Lee County, which sits in the zip code 33957. White sand beaches rest just steps away from Loggerhead Cay on Sanibel Island, FL, making them available to residents at all times. The complex offers direct access to the beach, plus a club house, community pool, tennis courts and picnic area, and that’s just what’s available inside the complex. Just outside the complex, anything and everything can be found, from shops, like Islander Trading Post, to museums, like Sanibel Historical Museum and Village Inc.; The Beachview Golf Course is also within a mile from Loggerhead Cay, and feature a full 18 hole golf course and club house. The tropical landscape of the complex is a perfect reflection of the island lifestyle that is associated with southwest Florida and particularly Sanibel Island. Loggerhead Cay is everything you would expect a Lee County, zip code 33957, condo to be. The outside of the building features stucco siding, with architectural accents to give it a unique appearance. Explore all top local homes for sale in Gulfside Place. Gulfside Place is a Florida subdivision with great amenities and a tropical living environment. The complex features clubhouse facilities with meeting rooms, two community swimming pools and six tennis courts. The great amenities and beach access makes these homes a perfect island resort; those qualities also make these luxury condominiums perfect rental properties. To top it off, Gulfside Place is situated on Sanibel Island, in the 33957 zip code; so residents have plenty of access to a variety of attractions. The condos for sale in Gulfside Place on Sanibel Island, FL come equipped with a plethora of community amenities for a convenient escape from the real world. Pools and saunas, tennis courts, a clubhouse and exercise room are just some of the available attractions in the complex, not to mention the direct access to the beach, which can be seen from many of the condos; Fort Myers and Cape Coral as also just a short drive away and offer beautiful white sand beaches for weekend trips. There is enough to do around the complex to keep you busy however, with restaurants, shops and parks available within a mile or two from Gulfside Place. Examples of popular places to go around the complex are Beaches, Beachview Golf Course and Pandora’s Box. Plus, D.N. “Ding” Darling National Wildlife Refuge is a short drive and offers acres of green space for recreation and leisure. The real estate for sale reflects the resort feeling you’d expect in Southwest Florida, with tropical greenery and palm trees decorating the landscape.